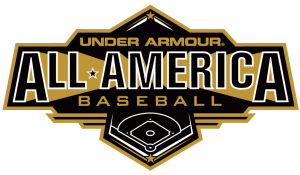 Next in a series of posts to examine the various “Roads to Wrigley” and the 2015 Under Armour All-America Game, this post takes a look at the Under Armour Baseball Factory College PREP Program. Factory Athletics is proud to announce the launch of the new Under Armour Baseball Factory College PREP Program – previously the Premium Video Program (PVP) – in an initiative to continue pushing the pace with player development and the mission to help student-athletes reach their full potential, both on and off the field. To celebrate this change, Baseball Factory will be running a 2-for-1 promo in August. Anyone who registers during August for any College PREP session will be invited to attend a second session for free within the next 12 months. The signature program for Factory Athletics sports (Baseball, Softball and Volleyball) is designed to help players successfully navigate the college recruiting process. For the last 21 years, Baseball Factory has been the top organization for marketing players to college coaches. In case you missed the 2015 Under Armour All-America Game this past Saturday afternoon on MLB Network, you can watch it right now by clicking here. With the 2015 game in the books, members of the selection committee are already working to identify and evaluate potential players for the 2016 game. 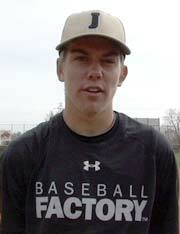 When you watch the 2015 Under Armour All-America Game (or hopefully when you watch it again…), pay close attention to the following players — each of their “Roads to Wrigley” ran through the Under Armour Baseball Factory College PREP Program (previously called the Premium Video Program, or PVP) in 2014 or 2015. Under Armour Baseball Factory College PREP Program events are held year-round and in nearly all 50 states — including stops in Alaska and Hawaii. Any interested player ages 14-18 is welcome to attend. Our schedule can be found here, with convenient links to online registration. Obviously, we have the most confidence in our evaluations of the players we’ve seen early, and have had the chance to follow the longest. There are no guarantees, but if you are seriously interested in the 2016 Under Armour All-America Game, get out to one of our events this Fall so we can start following you now. Keep in mind, the 2016 Under Armour All-America Game will feature 2017 graduates, along with our traditional two slots for underclassmen (2018 graduates).